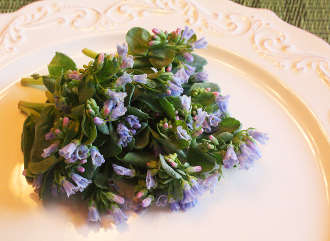 Tiny light blue flowers on stems with a fresh, real oyster taste! Dress up raw seafood. Create a gourmet salad with this as a beautiful topper. It's pretty blue color will add contrast to any food.